Welcome to the first day of cascara class. 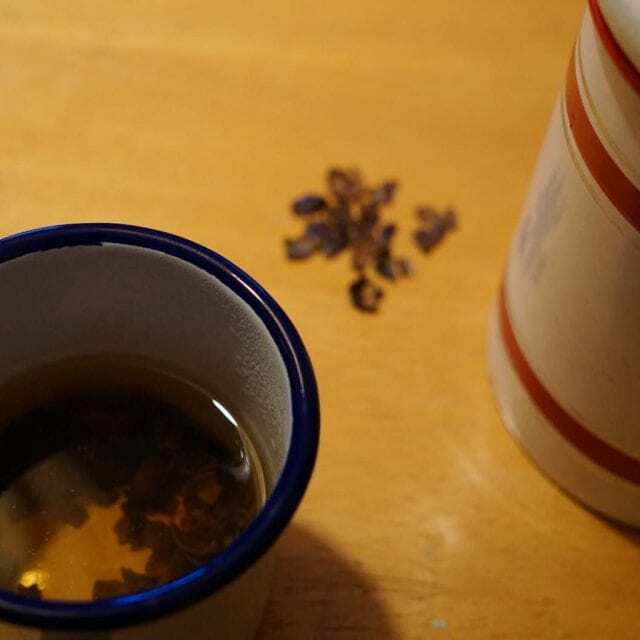 Interest in cascara and cascara-based drinks is booming across the specialty world. People are experimenting with processing techniques, milling, varietals, brew methods, blends, and more. But if you’re an exporter or coffee shop owner, how do you make sure the cascara you’re stocking is good quality? Through a rigorous inspection and cupping process. We’ve developed our own methodology and I’m here to share it with you. 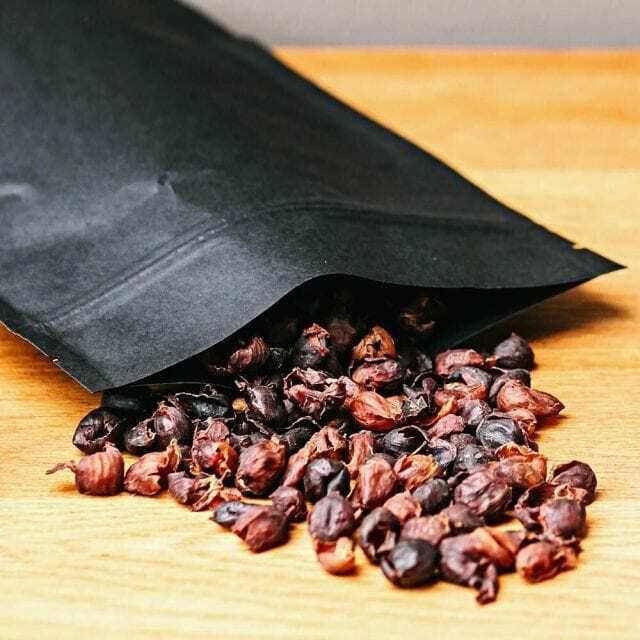 Read on to find out how to cup cascara, what flavor profiles you should expect, and even some tips for using cascara in drinks. Let’s start at the beginning. 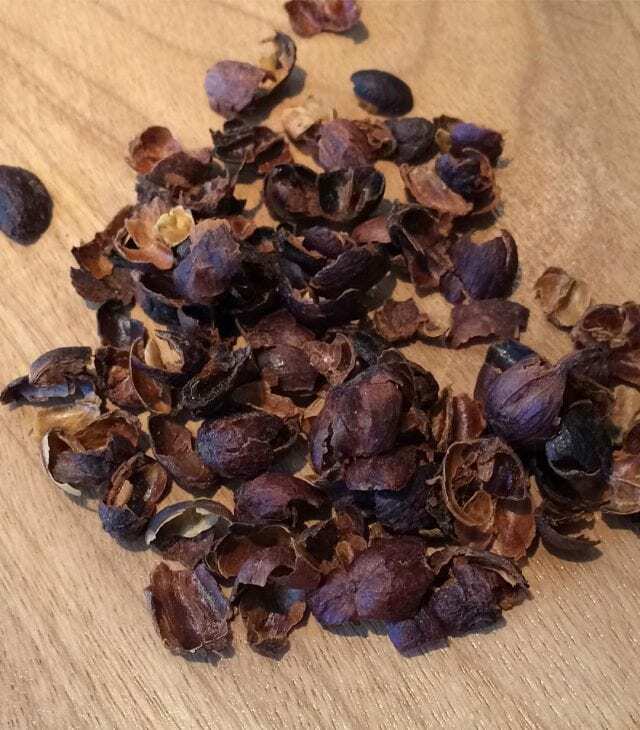 Cascara is the dried husk of the coffee fruit. It’s not a new beverage: it has roots running back to Yemen and Bolivia. However, it’s new to the Western world. Its introduction to us is largely thanks to Aida Batlle, a Salvadoran coffee legend. After tasting it at a cupping over a decade ago, she rushed to introduce it to her more adventurous roasters. 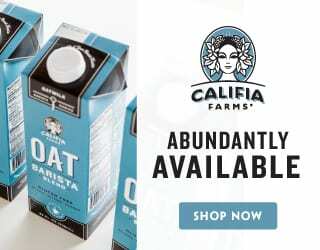 And casara is great news for coffee drinkers, producers, and the environment. When the husk isn’t used for cascara tea, it’s often composted or discarded into waterways, polluting them. 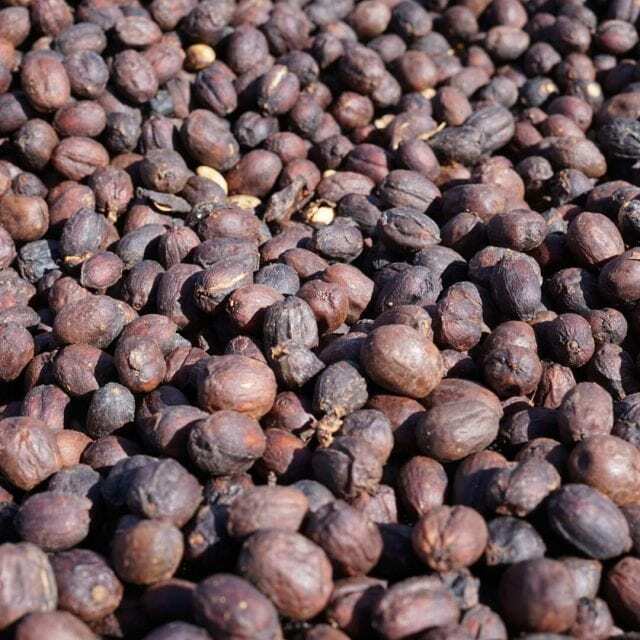 Given the volume of coffee production, wasted cascara represents a huge agricultural inefficiency. What’s more, cascara is delicious. It’s antioxidant rich. It’s caffeinated. It represents an unparalleled opportunity for farmers to earn a new source of revenue. The biggest challenge is sourcing and introducing people to the best cascara, so their first impressions are positive. Sourcing is a topic for another day, but for now let’s look at evaluating the product. Cascara is split into two categories: pulp and husk. Pulp is from a coffee that is run through a depulping machine, either for washed or honey processed coffees. It’s made up of larger pieces that look like a whole piece of dried fruit. Husk, on the other hand, is the shell from a natural processed coffee. These are much smaller fragments. We always begin with a visual evaluation. First, is it husk or pulp? What color is it? Is there foreign matter present? Is there parchment? Unfortunately, there is no standardization in cascara processing. We frequently come across samples with sticks, leaves, and mold. We’ve even seen bug larvae. A good sample will be devoid of any outside material, whether it’s husk or pulp. Additionally, either sample should be dry to the touch. You’re looking for 5–8% humidity. Consistent color is very important, as it indicates cherry ripeness. Riper cherries mean deeper flavors and more developed sugars. For pulp, you want a very dark red, bordering on black. Husk should be a little bit lighter, more of a mahogany. There’s a debate about parchment in husk. During the milling process of natural coffees, the husk and parchment are mixed. And depending on the mill, the parchment will stay attached to the husk or be shaken loose. It’s difficult and labor intensive to separate the two, but some processors do take painstaking effort to do so. Because, as a general rule, parchment adds bitterness. Some people like that. We, however, try to avoid parchment. One producer we work with goes as far as to remove the parchment. SEE ALSO: Cascara Latte VIDEO Review: Can This Drink Be Third Wave? Now that you’ve looked at your cascara, poked it, sniffed it, and gotten to know it, you’re ready to brew it. For cascara, we do two brews. For the first one, we use a tea bag in a cupping bowl with a 4% ratio: 12 grams cascara to 300 ml boiling water. This is a fairly standard ratio. We steep for four minutes, then remove the tea bag. The second brew is prepared in a French press at a 10% ratio: 30 grams cascara to 300 ml of 205°F (96°C) water. 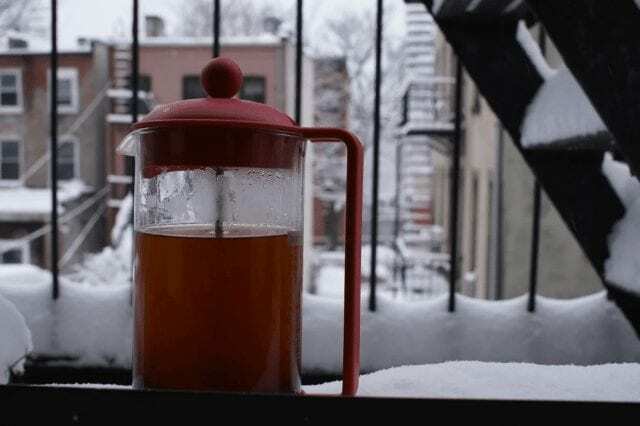 We steep for 4 minutes, press firmly, and then pour into a ceramic mug. We do two brews because, at these different strengths, the cascara can be used in different ways. More on that later! What Flavour Profiles Should You Expect? As a general rule, the husk (which comes from natural coffees) is sweeter, lower in acid, and more mellow. 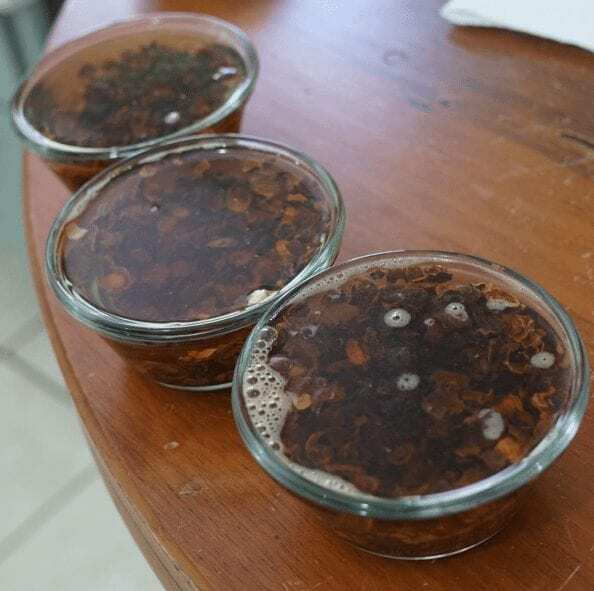 Many cascara husk samples are brimming with molasses, cedar, vanilla, and red berries. The pulp (which comes from washed/honey coffees), on the other hand, has bright acidity and tends to be sharper, bringing forward clementine, watermelon, and grape notes. It also has much less sweetness. 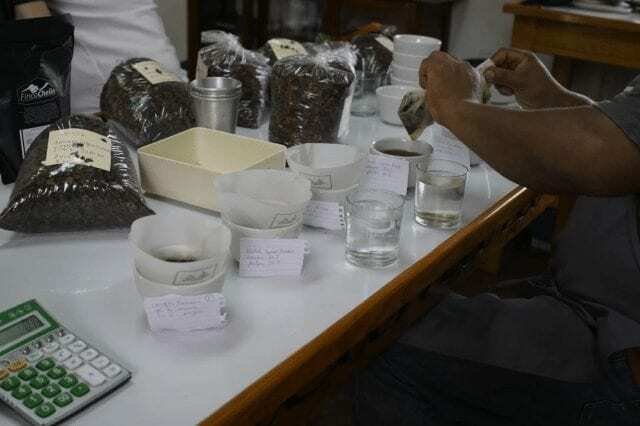 We evaluate based on aroma, body, flavor, aftertaste, sweetness, and acidity, and we begin with the 4% cup. After steeping, it will be giving off aromatic compounds. Taking care not to burn yourself, stick your nose over the cup and inhale deeply. Repeat four or five times, reflecting on what you find. Berries? Dried fruit? Tropical Fruit? Bergamot? Molasses? Give the cup another minute to cool before dipping your spoon into the drink and giving it your first aerating slurp. Feel how it coats the inside of your mouth. Cherries harvested at peak ripeness are rich in pectin and will feel full and chewy. What flavors do you pick up? Is there a burst of acidity? How sweet is it? Is there depth or is it monotone? We’re looking for a balance of acidity and sweetness, and interesting flavors without an overly bitter aftertaste. Excessive bitterness, astringency, and lack of depth all dock points from the cascara. Repeat slurps every minute for the next five minutes as the cup cools, continuing to make notes. For our bottled drinks, we blend cascaras or mix them with fresh juices, requiring stronger concentrations. This means tasting the higher ratio cascara is very important. What’s more, when extracted with a much higher ratio, new flavors express themselves. While wood, vanilla and black cherry might have dominated at the lower ratio, strawberry, bergamot and cacao nibs may come out at a higher ratio. The procedure is exactly the same with the 10% cup as it is with the 4% cup, other than the use of a teabag or French press. 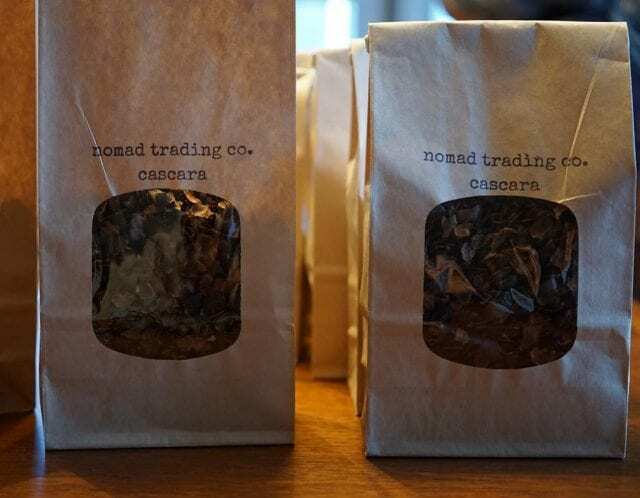 There’s no cupping sheet for cascara, and you can’t give it a score out of 100. So when it comes to picking the best cascaras, it’s down to your personal taste, your menu, and what you think your customers will like. Try as many different cascaras as you can. Look for common threads. Do you like the acidity of pulp? Or do you prefer the subtlety of husk? Maybe you’ll fall in love with a Costa Rican Pacamara or a Nicaraguan SL28. And then experiment. Brew a concentrate and add sparkling water. Or cold brew. Or ginger. Try some coconut milk. Written by Max Keilson, Co-Founder of Nomad Trading Co.